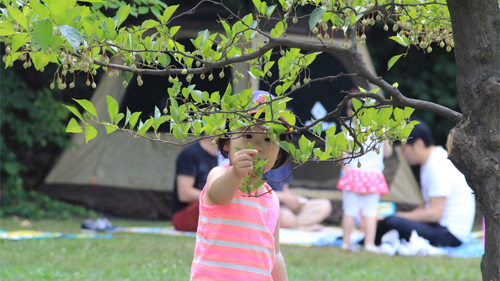 In one of its many programs to improve the quality of life for its citizens, the Seoul city government has steadily increased green space over the last few decades. It has converted landfills to parks and removed the concrete highway that once covered the CheonggyeCheon. 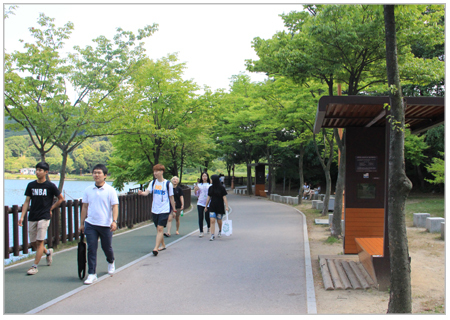 It has built large parks such as Seoul Forest and Dream Forest, yet, with all of the hard work that they do, many citizens still do not feel that they benefit from these spaces. 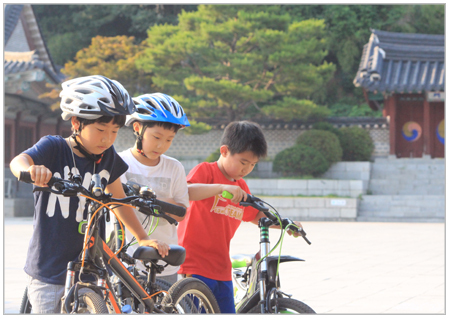 Even citizens in Gangnam-Gu, which has the most expensive real estate in Korea, remain out of reach from most parks. The UOS Times offers a few suggestions for ideal parks, the green space so close, yet also so far. Parks now signify more than places for a stroll or weekend picnics. Parks should act not only as eco-friendly outdoor space, but also as places where values are created ? culture, education, and community. In the parks, many aspects of living are intertwined with the green space and promote quality of life. Educational aspects are addressed in a variety of ways, and entertainment is provided for all age groups. Parks are no longer the static places we used to know. Their purposes and utilizations keep changing. 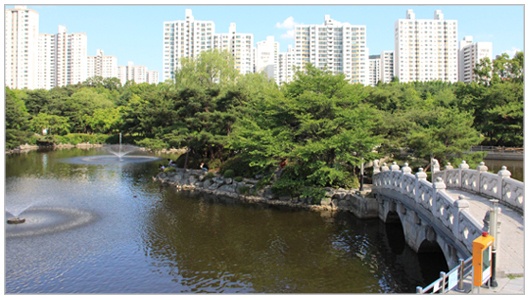 Thirty minutes by metro from Gangnam station, Yul-dong and Jung-ang parks lie in Bundang. They were designed along with a new-town project in late 90s. Both were created with minimal changes to the original landscape. 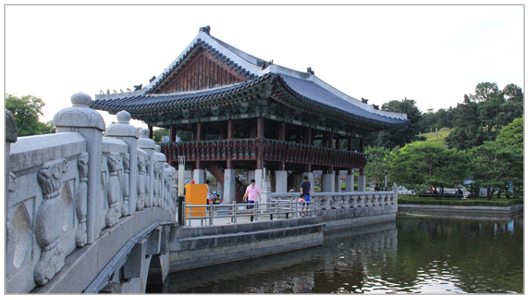 The total area of Yul-dong park is 661 acres but only about 12 percent of this land was constructed artificially. There are 33 acres of lake created through alteration of reservoir. Trails were formed along the mountains and lake to mimic their natural forms. Unlike the many parks in the center of Seoul, which are disconnected from the ecosystem, Jung-ang park has an ecosystem connection tunnel that acts as a medium for nature. This tunnel lets animals and plants communicate with Bulgok Mountain, nearby; animals come and go without interference from human beings, and flower seeds in the mountain are carried to the park without artificial barriers. In addition to that, 1.2 million trees that were removed during construction of the Bundang New Town, were replanted in the park. Junag-ang and Yul-dong parks are cultural multiplexes for the locals. Both provide impressive cultural activities. Held every weekend in Jung-ang park, the Park Concert has entertained citizens since May of this year. 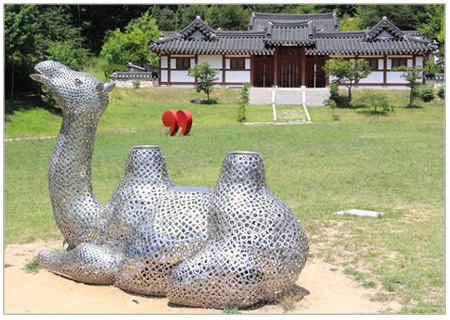 In Yul-dong park, distinctive art and design experiences also await citizens. Every street lamp has a different design based on traditional styles. Art works are spread throughout the parks, providing more relaxation than what citizens can find only in the shade. One example is the Emotional Bench, which plays hit songs when someone sits there. A Book Theme Park is located in the center. The building itself is aesthetic enough, but very interesting programs are held inside the building. 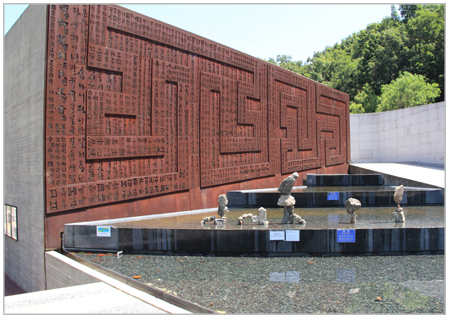 For example, there are art exhibitions and education programs that present Seoye, or traditional Korean Calligraphy. At the same time, as its name implies, the Book Theme Park also functions as a public library. The parks connect children and nature, helping them play, learn, and grow there. 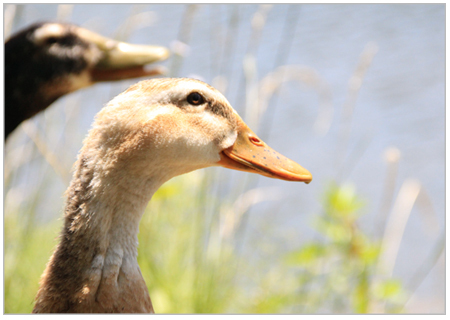 It is easy to see ducks strolling the walkways, seemingly unafraid of humans. 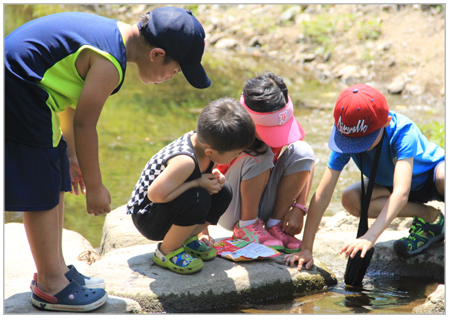 Children catch fish in streams and follow squirrels climbing the trees. All these experiences are unique advantages that those stuck downtown can rarely have. Through these sites, people learn about coexistence with nature, the seed for cultivating a sustainable environment. It provokes true affection for nature and helps them to define the quality of living. As a result, children will be the protectors of nature and promoters of sustainable growth in the city, with an emphasis on coexistence. 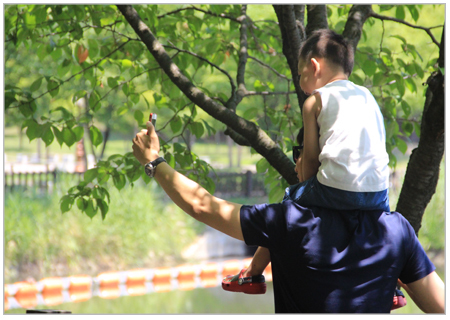 Yul-dong and Jung-ang parks are so-called sustainable parks where eco-systems are well-preserved and usage of space is diverse. These parks have the potential to be used differently. World-class cities have been creating sustainable parks to meet the needs of present and future generations. It would be a great experience for students to visit these parks and imagine what kinds of parks they want to have in the near future.